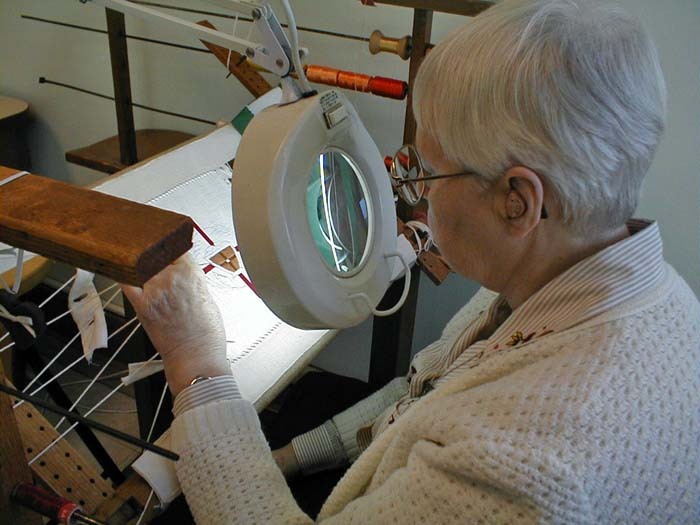 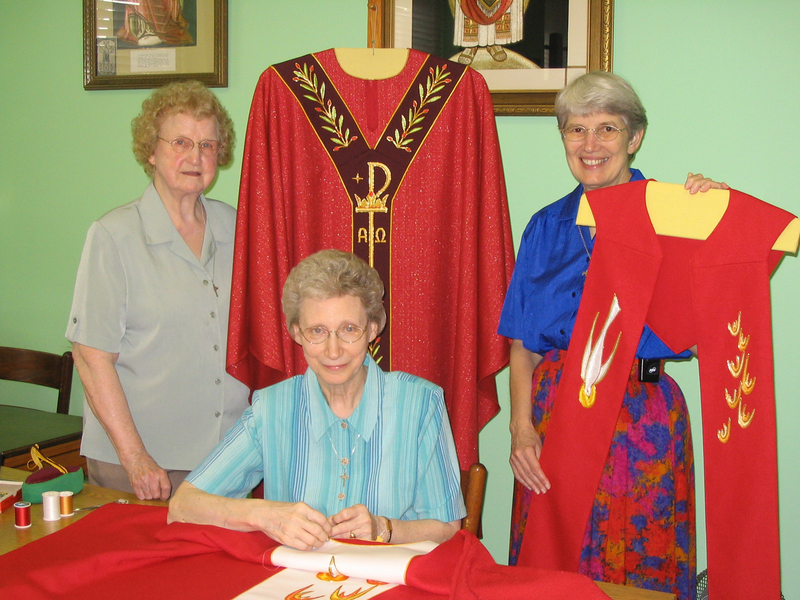 The Ecclesiastical Art Department has been a ministry of the Sisters of the Most Precious Blood since 1858. 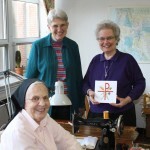 It began in Germany under the inspiration of Fr. 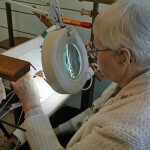 Kessler as a source of income for the fledgling community. 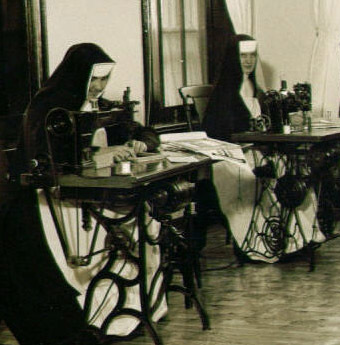 When the Sisters immigrated to the United States in the 1870s because of the adverse political climate in Germany, they continued this work in their new homeland. 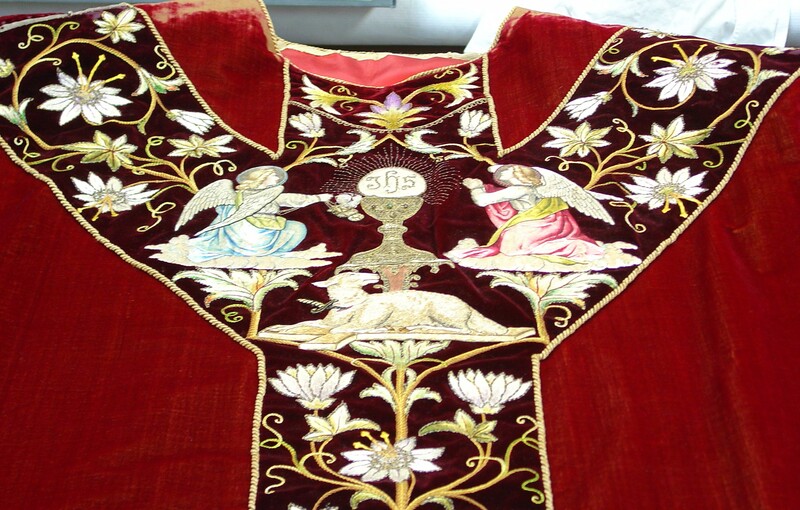 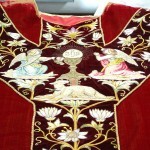 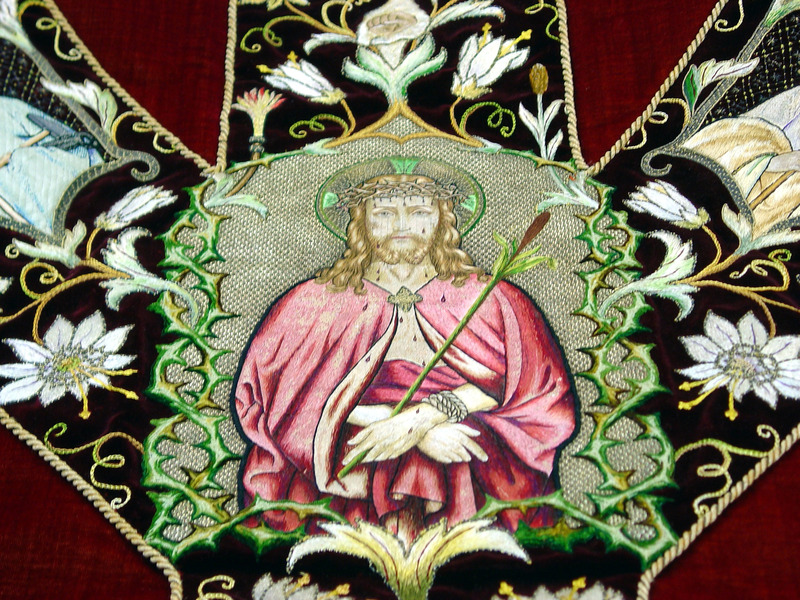 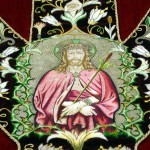 In 1904, the Embroidery Department, as it was then called, exhibited a chasuble at the World’s Fair in St. Louis. 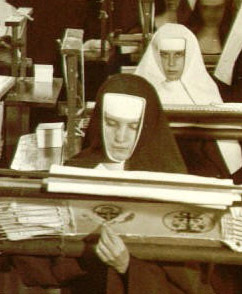 A gold medal was awarded to their exhibit. 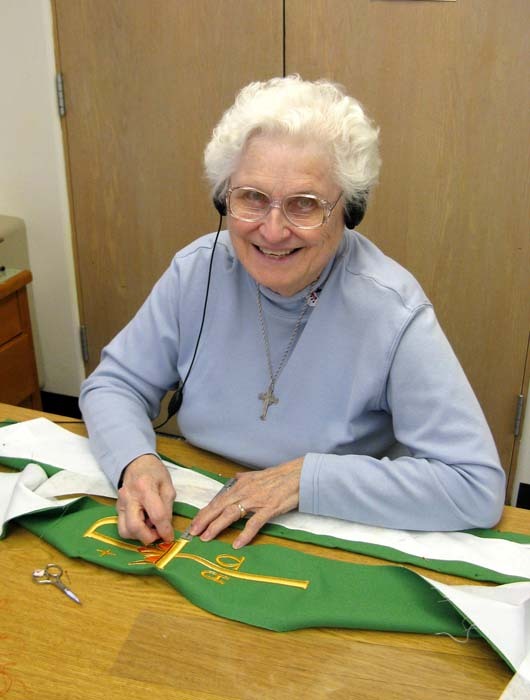 Under the direction of Sr. Anselma Lange, 1906-1945, and Sr. Hiltrudis Powers, 1945-2000, the department expanded to include anything that would enhance Divine Services. 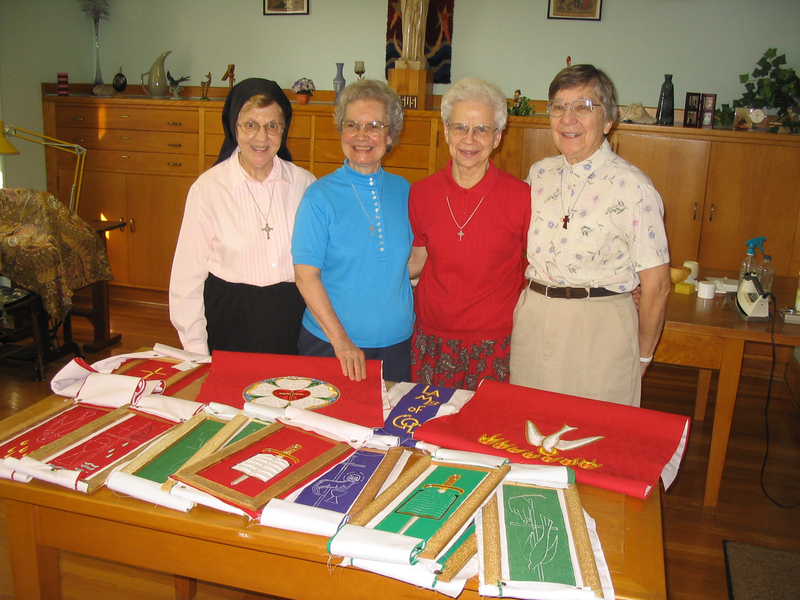 The Sisters sent the fruits of their labors all over the United States and to many other countries. 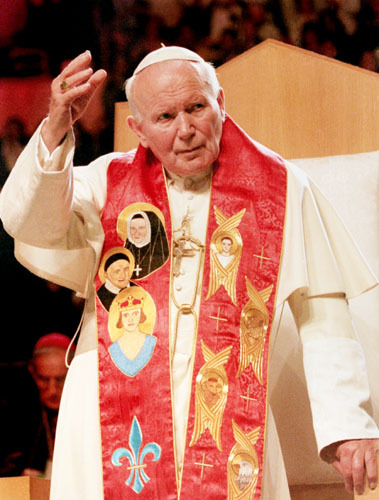 Before the Vatican Council II, the Department served only within the Catholic Church. 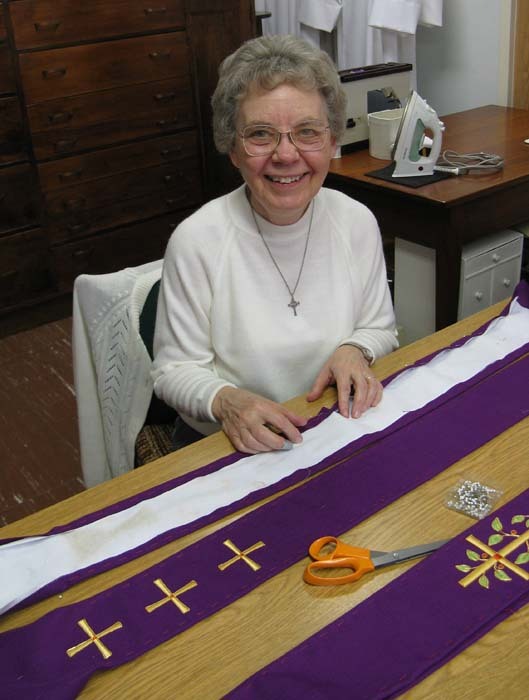 However, in the new climate of ecumenism in the 1960s, the Sisters began to fill the needs of other denominations and soon numbered Lutheran, Methodist, Episcopalian and United Church of Christ congregations among their regular clients. 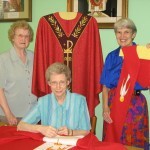 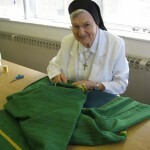 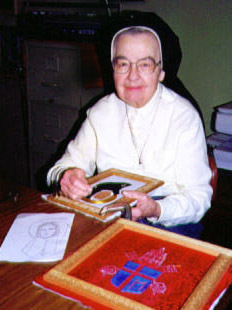 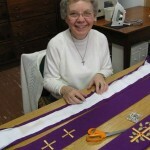 In 1999, the Sisters were commissioned to make a stole and mitre for the Holy Father’s visit to the Archdiocese of St . Louis. 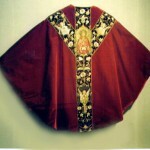 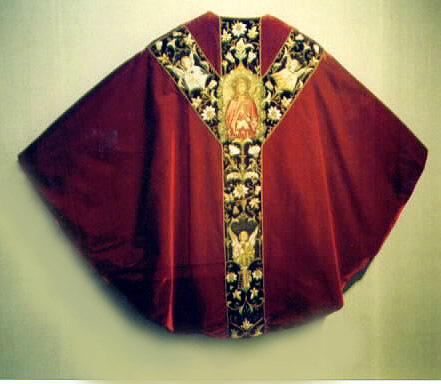 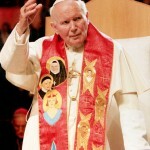 Pope John Paul II wore the stole at the youth gathering and then returned it to the Archdiocese where it is presently on display in the cathedral crypt. The Sisters worked in the manner of a guild with each person contributing her particular skill. 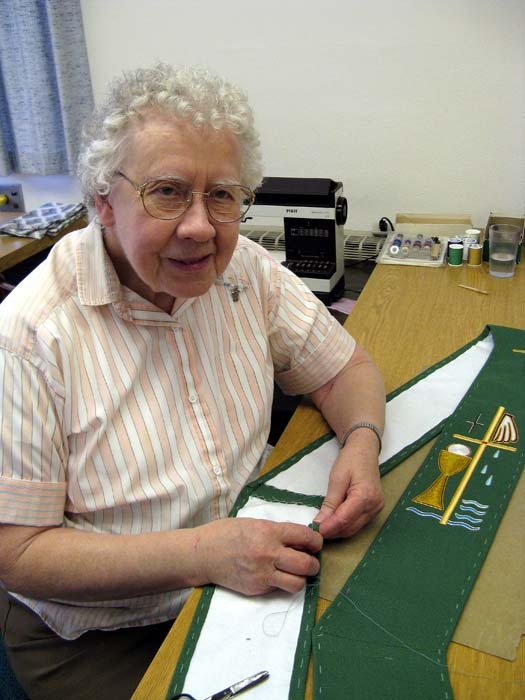 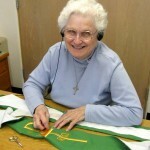 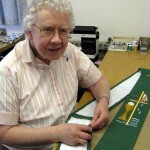 In addition to filling orders, they taught their skills in ecclesiastical embroidery and vestment making to several religious communities of Sisters in the United States. 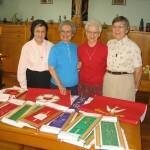 Sisters from Ghana, Africa, also came to learn this art and opened their own Ecclesiastical Art Department. 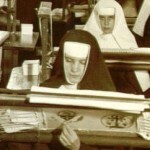 Most recently, in 2007, the Benedictine Sisters of Mary, Queen of the Apostles were introduced to our techniques. 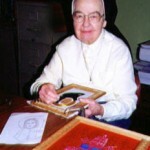 Their department, known as the House of Ephesus, can be viewed online at www.benedictinesofmary.org. 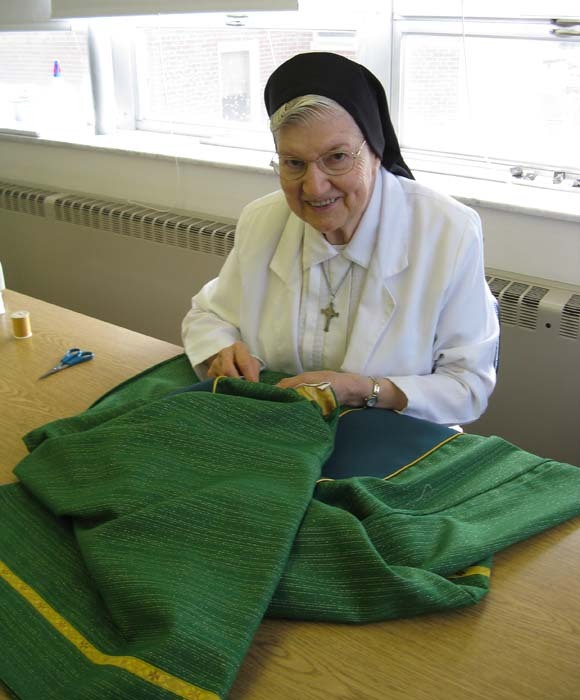 In 2008, the Ecclesiastical Art Department, after celebrating 150 continuous years of service, entered into a new phase. 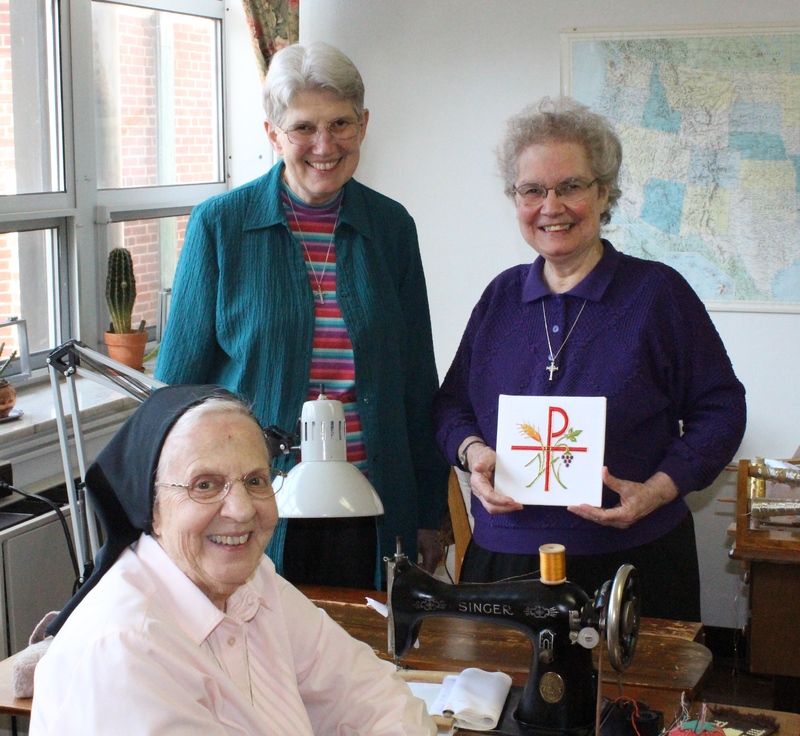 At that time, the Motherhouse of the Sisters of the Most Precious Blood was renovated into a continuum of care for seniors, and the EAD relocated to its present quarters in Precious Blood Center, located above the Congregational Offices. 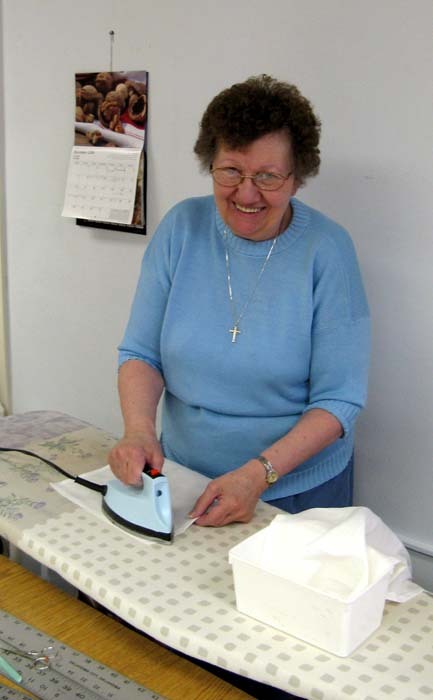 Its operations have been downsized to accommodate the smaller area and to suit the abilities of an aging staff of Sisters. 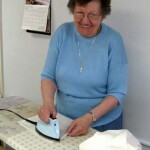 It is now a retirement ministry through which they continue to do the work they love in a more relaxed setting.